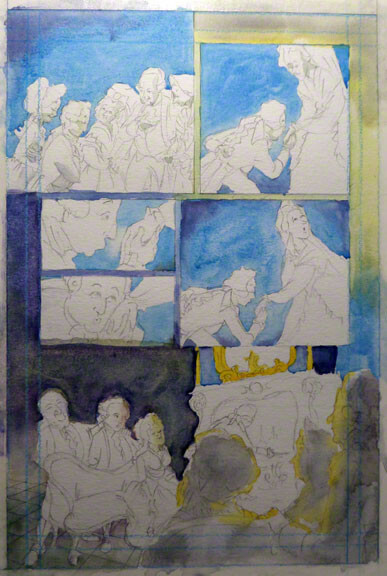 Back to work on the color STUDIES for Spirits & Seekers: Cagliostro in Courland. 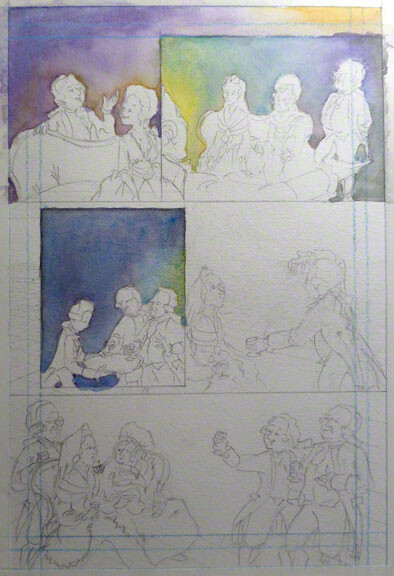 Putting down washes first. 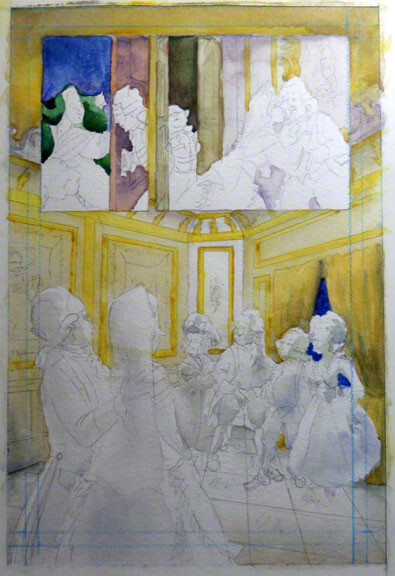 Post 1 of 2: Studies for pp 004--6.